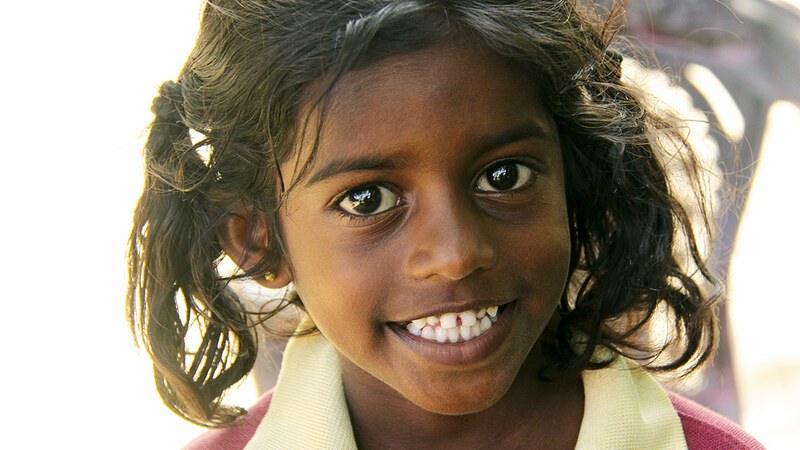 Compassion started working in Sri Lanka in 2010. Today, there are over 12,000 children registered in our programs with 73 local partners. Sri Lanka is slowly emerging from a brutal decades-long civil war that resulted in mass displacement and tens of thousands of deaths. But this beautiful, scenic nation carries the scars of the conflict—and poverty continues to hold many children back. In 2009, the Sinhalese-majority government army forced a complete defeat for the Tamil Tigers (known as the LTTE), ending a long and bitter conflict. Civilians were caught in the crossfire throughout the 26-year long war, and between 80,000 and 100,000 people were killed. While the fighting has stopped, the legacy of the conflict lingers. By the end of 2012, the majority of those who fled during the civil war had returned to Sri Lanka, but thousands have been unable to return to their communities and remain internally displaced. President Sirisena was a surprise victor in the 2015 Presidential election, upsetting the incumbent Mahinda Rajapaksa after defecting from his party, the Sri Lanka Freedom Party. But his alliance with Prime Minister Ranil Wickremesinghe’s United National Party was an unsettled one, and, in late October 2018, President Sirisena dismissed Prime Minister Wickremesinghe and appointed former President Rajapaksa in his place. Mr Wickremesinghe immediately denounced this move as a violation of the country’s constitution and refused to leave his official residence. At the time of writing, all parties are caught in a tense standoff. As the country lurches toward a political crisis, poverty still affects millions of Sri Lankans, mostly in the northern and eastern regions. Poverty is greatest among rural and remote communities and it affects minority groups disproportionately. Those living as labourers on tea estates face the greatest disadvantages in gaining access to education, healthcare, better quality food and housing. Child labour and forced labour trap many families in generational poverty; but recent efforts to improve access to education have helped many more children (particularly girls) to enter the classroom. The quality of education needs to improve, as schools and teachers often don’t have the resources they need to get the best results for children, but enrolment rates are strong—which is a source of hope for the next generation of Sri Lankan children. Already travelling abroad and want to see Compassion’s work in action? We can help! Sujani and Nidursha are part of Compassion’s local Child Sponsorship Program, which started in June 2014. They’re inseparable; virtually sisters. Together with 70 other children from the neighbourhood, they attend daily classes, where they are taught tutored in subjects like English and mathematics; these lessons help the children to do better in their school work as well. Sujani and Nidursha are part of Compassion’s local Child Sponsorship Program, which started in June 2014. They’re inseparable; virtually sisters. Together with 70 other children from the neighbourhood, they attend daily classes, where they are tutored in subjects like English and mathematics; these lessons help the children to do better in their school work as well. Sujani and Nidursha come every day of the week, except for Saturday, and sit on hand-woven mats as their teacher gives out their books. After the end of the first half of their lessons, the two friends join the other children to have a meal. “We provide them with fresh fish, prawns and occasionally beef. Most of the children have just one meal a day. We want to give them the best,” says the centre director, Mr S Ravidas. After their lessons, they walk home, giggling and chasing each other. Sujani lives closer to the child development centre than Nidursha, but they always wait for each other, so they can travel together. Sujani lives in a house made out of tin sheets. The heat is unbearable, but it’s home to her, her brother and her parents. Swendar, Sujani’s father, is a mason. He doesn’t have a permanent job, but he does his best to make ends meet. Nidursha is quiet in comparison to Sujani, but her smile is just as beautiful. Her eyes hide the need for a fatherly figure in her family. Sometimes she is distant. She walks around at times after class, after dropping off Sujani at her place. Pray for the Survival project staff members who make home visits to each registered mother in their communities, and who work round the clock to guide the mothers in their prenatal and postnatal period; pray for their health and energy. Please also pray for the mothers and their babies as they learn, grow and develop; pray that God will continue to reveal His love to them and bless them. Pray for the children in the community of LK0106 who are vulnerable to alcohol and drug abuse. The staff try to keep the children engaged as much as possible; pray that their actions may speak in the hearts of the young people and guide them to make wise choices. Doctors diagnosed Dhanushka’s sister with a hole in her heart; thankfully, they believe the sister will be cured as she grows. But Dhanushka, a Compassion assisted girl, feels neglected and feels more attention is given to her sister by her parents. The parents are struggling to manage the situation and don’t know what to do. Please pray for this family and for the sister’s heart to be healed. Please pray for one family from LK0106: the father recently passed away, leaving behind a young jobless mother and their children in her hands. Pray for God’s mercy in this difficult time faced by the family; pray for strength, peace and encouragement in their time of grief and loss. Pray for the Compassion Sri Lanka office as they seek to fill several vacancies; pray that God will lead them as they recruit and that the people with the right skills will apply to join the team. And please pray for the current political standoff. Pray for a peaceful and speedy resolution, for God’s wisdom to prevail, and for His peace in the parliament and on the streets. As the rainy season sweeps in, Iresha lies with her back to the wall, taking comfort in its strength, its stability. One year ago, a gale ripped the roof from her family’s house and they scrambled for shelter just minutes before a tree came crashing down. But now, as she nears sleep, she knows that her new home will see them through the coming storm. Why Doesn't Compassion Work in Conflict Zones? Nearly one in every nine children live in a conflict zone. So why does Compassion only choose to work in stable communities?